Mio Dio, la tua gloria! Although the Roman Martyrology notes the day of her death on April 23, 1939, the Cistercian and Trappist calendars commemorate Blessed Maria Gabriella, a nun of Grottaferrata in Italy, on April 22. Pope John Paul II beatified Blessed Maria Gabriella dell’Unità in 1983 and in his Encyclical on Christian unity, Ut Unum Sint, presented her again to the whole Church as a model of “the total and unconditional offering of one’s life to the Father, through the Son, in the Holy Spirit.” Her monastic life was brief: three and a half years. She died after fifteen months of tuberculosis at the age of twenty-five. Blessed Maria Gabriella is, in many ways, a woman to whom anyone touched by suffering and disability can relate, and for many reasons. The physical limitations that reduced her “doing” expanded her “being” until, at length, the Holy Ghost dilated her heart to the dimensions of the Heart of Jesus, the Good Shepherd. The Trappist monastery of Grottaferrata (moved to Vitorchiano in 1957) was governed by Mother Maria Pia Gulini (1892–1959), an intelligent and discerning abbess with a broad vision of all things Catholic. Mother Gulini corresponded with the Abbé Paul Couturier (1881–1953), the Apostle of Christian Unity. The Italian abbess nurtured a passion for Christian Unity and communicated that passion to her community. 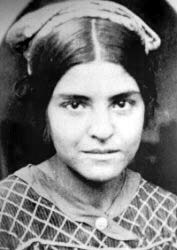 Maria Gabriella was receptive to Mother Gulini’s spiritual teaching. Inspired by the Holy Spirit, she asked permission of her abbess to offer her life for the Unity of Christians. The Father accepted her offering, drawing her into the prayer of Christ and into His sacrifice. Maria Sagghedù, leaving her native Sardinia for Grottaferrata, entered a monastery that was economically and culturally poor, although governed by Mother Maria Pia Gulini, an abbess who believed in keeping a window open onto the wider Church. Maria Gabriella lived a hidden life circumscribed by the cloister, by silence and by obedience. Her monastic life was short; she crossed the threshold of the Abbey of Grottaferrata in 1935 and died in 1939, a mere three and a half years later. It was Good Shepherd Sunday at the hour of Vespers, the Church’s evening sacrifice of praise. The Gospel that day had been from Saint John: “There will be one fold, and one shepherd” (John 10:16). After Maria Gabriella’s death, her sisters found that her little pocket edition of the New Testament, worn from use, opened by itself to the seventeenth chapter of Saint John’s Gospel. Those few pages of Jesus’ Priestly Prayer, so often touched by Mother Maria Gabriella’s feverish hands, had become almost transparent. Blessed Maria Gabriella’s offering for Christian unity witnesses to the fundamental thrust of every monastic life, both in its canonical form within the enclosure walls, or in its interior expression, without cloister or habit, in the world. 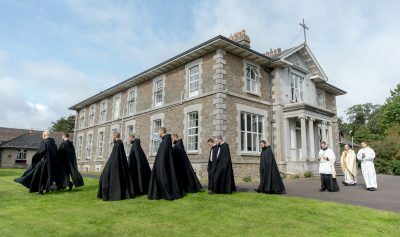 Monastic conversion is a movement from the divided, fragmented self to the whole self, healed and unified in the love of Christ. The restoration of unity is the great monastic work; it is the end and fruit of every Eucharistic Sacrifice. Saint Thomas Aquinas teaches the end proper to the Sacrament of the Eucharist is the unity of the Mystical Body. Let us then go to the altar today, letting go of things that fragment that unity, and ready to receive the gifts by which unity is repaired.